August 2017: Not so long ago the Biennale of Sydney was making national headlines for all the wrong reasons. In 2014, a group of artists withdrew from the art fair amid fierce protests when it was revealed a subsidiary of Transfield, the event’s major partner, held contracts with the government to operate its contentious offshore refugee detention centres. Biennale chairman Luca Belgiorno-Nettis — the Transfield director whose family has a long history of philanthropy — was forced to stand down and the event severed ties with the company. To say it was an inconvenience for then artistic director Juliana Engberg would be to redefine understatement. It was a tough lesson for the biennale, and it has learned in recent years to choose its friends carefully. I had the pleasure a few weeks back of attending a lunch hosted by not-for-profit group Bridging Hope Charity Foundation, which was announcing a major partnership with the biennale. The foundation focuses on supporting arts projects and mental health initiatives. In a country where mental health affects one in five people — arguably that figure is higher in the arts; numerous studies have established a firm link between creativity and mental illness — it is heartening to see a cultural partnership working towards mutually positive ends. Warms the ole cockles, it does. 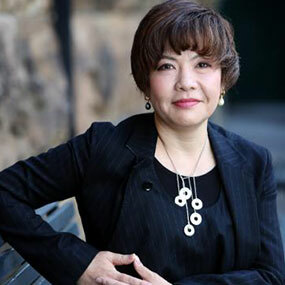 The 20th Biennale of Sydney, under the stewardship of new artistic director Mami Kataoka, will open in March next year.